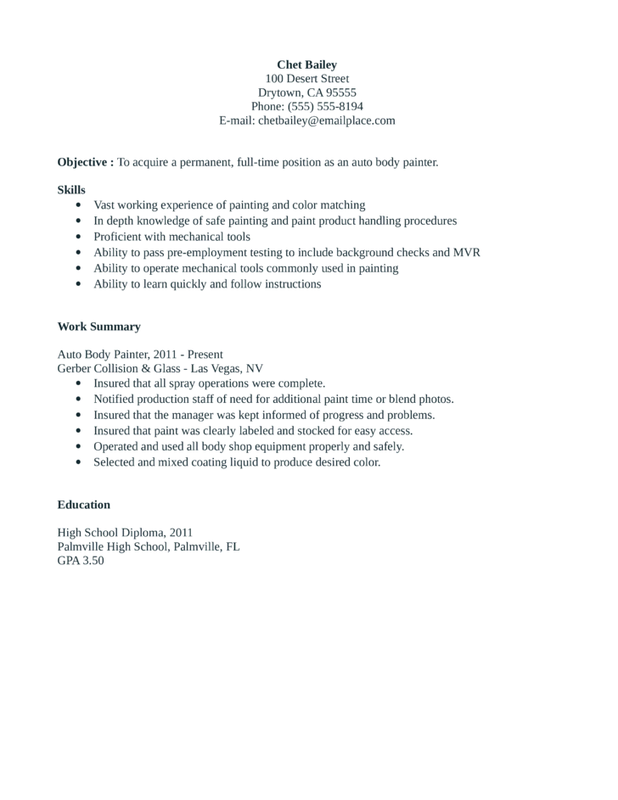 Objective : To acquire a permanent, full-time position as an auto body painter.  Insured that all spray operations were complete.  Notified production staff of need for additional paint time or blend photos.  Insured that the manager was kept informed of progress and problems.  Insured that paint was clearly labeled and stocked for easy access.  Operated and used all body shop equipment properly and safely.  Selected and mixed coating liquid to produce desired color.